Albert Goodwill Spalding (September 2, 1849 – September 9, 1915) was an American pitcher, manager and executive in the early years of professional baseball, and the co-founder of A.G. Spalding sporting goods company. He played major league baseball between 1871 and 1878. In 1877, he became the first well-known player to use a fielding glove; such gloves were among the items sold at his sporting goods store. After his retirement as a player, Spalding remained active with the National League. He later called for the commission that investigated the origins of baseball and credited Abner Doubleday with creating the game. He also wrote the first set of official baseball rules. Having played baseball throughout his youth, Spalding first played competitively with the National Association of Professional Base Ball Players (which became known as the National Association, the Association, or NA) in 1871, Spalding joined the Boston Red Stockings (precursor club to the modern Atlanta Braves) and was highly successful; winning 206 games (and losing only 53) as a pitcher and batting .323 as a hitter. National League of Baseball Clubs. To aid him in this venture, Hulbert enlisted the help of Spalding. Playing to the pitcher's desire to return to his Midwestern roots and challenging Spalding's integrity, Hulbert convinced Spalding to sign a contract to play for the White Stockings (now known as the Chicago Cubs) in 1876. Spalding then coaxed teammates Deacon White, Ross Barnes and Cal McVey, as well as Philadelphia Athletics players Cap Anson and Bob Addy, to sign with Chicago. This was all done under complete secrecy during the playing season because players were all free agents in those days and they did not want their current club and especially the fans to know they were leaving to play elsewhere the next year. News of the signings by the Boston and Philadelphia players leaked to the press before the season ended and all of them faced verbal abuse and physical threats from the fans of those cities. In 1877, Spalding began to use a glove to protect his catching hand. People had used gloves previously, but never had a star like Spalding used one. Spalding had an ulterior motive for doing so: he now owned a sporting goods store which sold baseball gloves and wearing one himself was good advertising for his business. Spalding retired from playing baseball in 1878 at the age of 27, although he continued as president and part owner of the White Stockings and a major influence on the National League. Spalding's .796 career winning percentage (from an era when teams played about once or twice a week) is the highest ever achieved by a baseball pitcher. In the months after signing for Chicago, Hulbert and Spalding organized the National League by enlisting the four major teams in the East and the three other top teams in what was then considered to be the West. Joining Chicago initially were the leading teams from Cincinnati, Louisville, and St. Louis. The owners of these western clubs accompanied Hulbert and Spalding to New York where they secretly met with owners from New York, Philadelphia, Hartford, and Boston. Each signed the league's constitution, and the National League was officially born. "Spalding was thus involved in the transformation of baseball from a game of gentlemen athletes into a business and a professional sport." Although the National Association held on for a few more seasons, it was no longer recognized as the premier organization for professional baseball. Gradually, it faded out of existence and was replaced by myriad minor leagues and associations around the country. Spalding published the first official rules guide for baseball. In it he stated that only Spalding balls could be used (previously, the quality of the balls used had been subpar). Spalding also founded the "Baseball Guide," which at the time was the most widely read baseball publication. In 1888–1889, Spalding took a group of major league players around the world to promote baseball and Spalding sporting goods. This was the first-ever world baseball tour. Playing across the western U.S., the tour made stops in Hawaii (although no game was played), New Zealand, Australia, Ceylon, Egypt, Italy, France, and England. The tour returned to grand receptions in New York, Philadelphia, and Chicago. The tour included future Hall of Famers Cap Anson and John Montgomery Ward. While the players were on the tour, the National League instituted new rules regarding player pay that led to a revolt of players, led by Ward, who started the Players League the following season (1890). The league lasted one year, partially due to the anti-competitive tactics of Spalding to limit its success. The tour and formation of the Player's League is depicted in the 2015 movie "Deadball." The Spaldings had an extensive library which included many volumes on Theosophy, art, and literature. 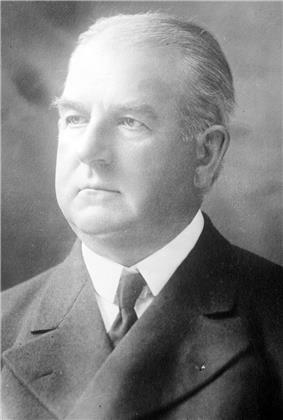 In 1907–09 he was the driving force behind the development of a paved road, known as the "Point Loma boulevard", from downtown San Diego to Point Loma and Panama-California Exposition, serving as second vice-president. He died on September 9, 1915 in San Diego, and his ashes were scattered at his request.